Hello my cafe-loving friends! 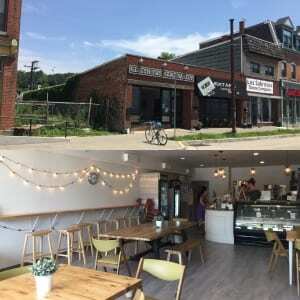 It’s been awhile, but I’m back…and with a bubbling list of cafes in a neighborhood I’ve yet to explore in my posts – Bloomfield/Lawrenceville! Once you’re in, there are a slew of drink and food options to choose, ranging from your regular coffee drinks to bubble teas and other small pastries. 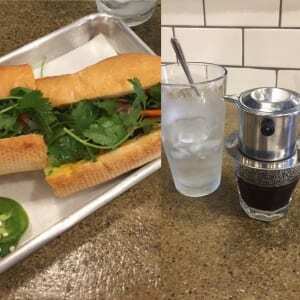 But coming to the Ineffable Ca Phe, you have to try their Vietnamese banh mi sandwiches and cafe sua, Vietnamese iced coffees. There’s even several flavors of the banh mi to choose from, to satisfy the meat-lover and vegetarian. This next stop brings you to another small bakery cafe sandwiched in a historic but up-and-coming neighborhood. 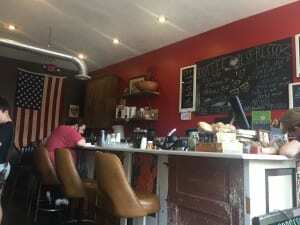 While it’s on the slight pricey spectrum of cafes, it’s certainly a healthier option for those craving sweets whose more health-conscious and/or gluten-phobic. There’s pastries ranging from cupcakes to the familiar apple-cider donuts that Tazza D’Oro also sells at our very own Gates cafe. So I don’t recommend getting the apple cider donut, try something new that you can’t get back at CMU. 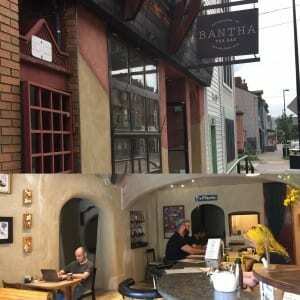 After a journey through Pastry Lane at the Gluten Free Goat Bakery, come de-stress (and energize yourself) at the Bantha Tea bar just around the corner. It’s a bar for the non-alcoholics and heaven for the tea-lovers. I’m proud to have found it and to add it to my list of ‘tea’ places that before this consisted of just Dobra Tea. While you’re in, you’ll experience a sub-Saharan (or Sonoran if you’re not feeling African desert) adobe cave-like feel. From the classic English breakfasts and Asian Oolong teas to the medicinal or soothing Kava teas, there’s pretty much something for everyone. Additionally, they’re playing the World Cup on TV as well, so for the sport fans out there, stop by and enjoy some tea and World Cup. And if you’re feeling courageous, try something out of your comfort zone. You’ll never know whether you’ll like it (or not) if you didn’t try. And finally, last but certainly not least, further up along the Allegheny is the Caffe D’Amore. 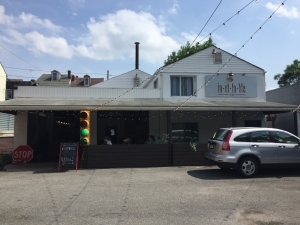 Situated just slightly north of the Arsenal along Butler St, just another reason to take those extra steps to the Stanton Heights neighborhood. I recommend getting their shrub soda in which they make it mixing fruit (or vegetables, depending on the flavor), apple vinegar, and seltzer/sparking water to create an organic taste of soda (or pop for those who prefer to call it that). And while you’re there, check out the used bookstore right next door and waft the smell of books and wisdom. Paperback sci-fi books are just $1 right now!